Baby Surya is hilarious. 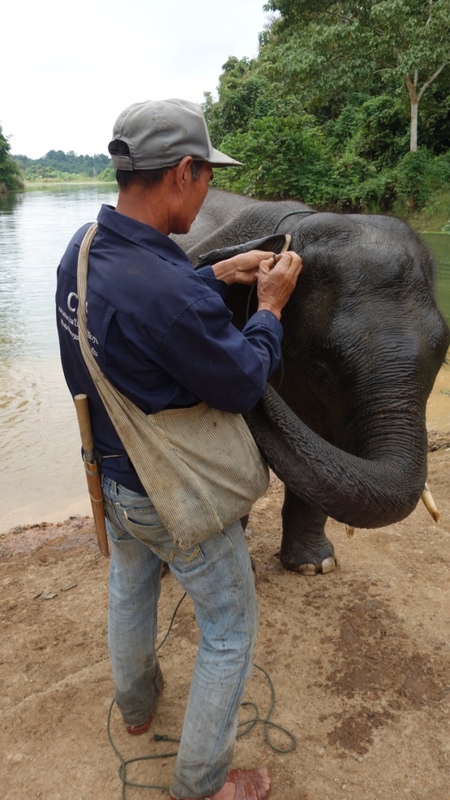 Here, he’s trying to get his trunk into his mahout’s shoulder bag. There are bananas in there.